We have lived for half a century in the age of “dietism", and this generally continues. We have been told what we should be eating, or more often what we should not be eating. We have been told to avoid dietary fats and cholesterol. In particular we have been told that eggs and butter are effectively poisonous (i.e. they cause disease and death in relationship to the amount consumed), and that cholesterol is the cause of coronary heart disease (CHD). 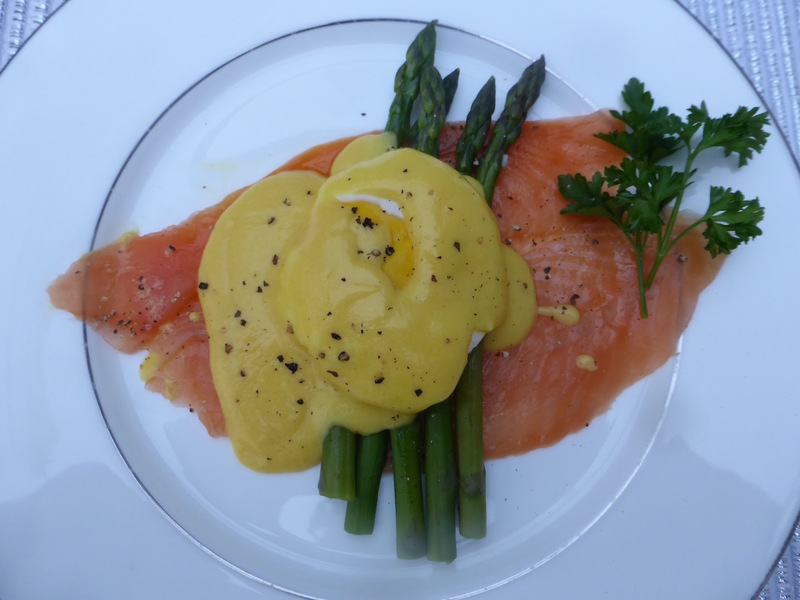 Smoked salmon with asparagus, topped with poached egg and Hollandaise sauce. Lay the smoked salmon on two or more plates. Place two egg yolks in a small mixing dish, and mix lightly with a whisk. Melt 150g butter in a small pan. Place 30ml white wine vinegar in another small pan and add a bay leaf and about ten peppercorns. Bring to the boil and reduce to one third of volume. Slowly add the melted butter to the eggs and mix in (leave any solid residue from the butter in the pan). Add the reduced vinegar, straining out the bay leaf and peppercorns. Continue stirring. Add the juice of a lemon, strained to remove pips and pulp, and also a little non-grain mustard. Place mixing bowl in a pan of water and bring to the boil. Continue stirring and the Hollandaise sauce will thicken. Poach two or more eggs, one for each plate. Arrange the asparagus on top of the smoked salmon. Place a poached egg on top of the asparagus. Pour the Hollandaise sauce over the egg, and a grind of fresh black pepper. Do not feel guilty about eating eggs and butter! The faulty dietary advice that we have received has been issued on the basis of the epidemic of coronary heart disease (CHD), which was responsible for large numbers of premature deaths, perhaps 10 million in the UK. The cause was unknown but it was said to be diet, and the main culprit was said to be cholesterol. The diet-cholesterol-heart hypothesis was first proposed in 1950 and became the official policy of the American Heart Association on 1957. It has persisted since. But there is doubt about at least the dietary component of the diet-cholesterol-heart hypothesis. Theoretical considerations can be based on false premises, such as cholesterol being produced within the body as a self-destructive process, rather than the reality that LDL-cholesterol is the first line of defence against invading micro-organisms. Research, as opposed to dogma, observes events in an objective and structured way. Much good quality research has shown that dietary fats and cholesterol have no influence on CHD deaths, but evidence has been over-ridden by the evangelism of cholesterolism. Dogma so often wins, at least in the short to medium term. The alleged danger of cholesterol became the basis of a huge industrial tsunami backed by "research" in which conclusions were probably written before the results. The published conclusions so often have little resemblance to the results, with much circumlocution. The manipulation of information and the fraud is described thoroughly and clearly in the manuscript “The Oiling of America", by Mary Enig and Sally Fallon. There has been and still is big money in low or manipulated fat diets. There have been and still are reputations of supposed clinical scientists to be maintained. The diet-cholesterol-heart hypothesis never made sense to those who read the original papers, but few read original papers and critics were silenced. The tsunami of low cholesterol and low fat diets rolled on. Cholesterol was clearly regarded as bad. We were advised to consume lean meat, no bacon, skimmed milk, little cheese, no butter, no eggs (or perhaps one a week). The traditional English breakfast was at an end. Margarine instead of butter! Milk that tasted like water! Worst of all, no bacon! But the tsunami is coming to an end, the dietary advice is becoming uncertain. People are eating more cheese, butter and cream. The popular cookery programmes on the television and recipes in magazines, often based in Italian food, include large amounts of butter, cream and eggs, with chefs apologising to any "diet police" who might be watching the programmes. The English breakfast now appears in hotels around the world. The dietary advice of the past half-century has been wrong, but this is not yet officially acknowledged. As long ago as 1985 there was strong dissent to the diet-cholesterol-heart hypothesis by a number of scientists. Among them was Dr George V Mann, professor of biochemistry at Vanderbilt University, USA. Despite his distinguished academic record, little notice was paid to him at the time. 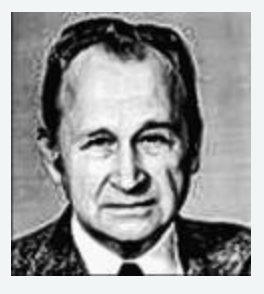 Indeed there was a strong rebuttable to his "intemperate" views by Dr Henry Blackburn, an important anti-cholesterol enthusiast. But we are now close to the end of era of diet-heart, as predicted by George Mann. George Mann will be vindicated. A recent study from Finland looked at 1032 men (age 42–60) between 1984 and 1989. The study concentrated on the carotid arteries in the neck. The thickness of the wall of the arteries can readily be measured by modern ultrasound. The diet–cholesterol–heart hypothesis would predict that the arterial wall would be thicker in response to a high cholesterol diet, and this would lead to a higher risk of CHD. The association would be higher in people with a genetic abnormality (polymorphism) of the apolipoprotein E gene (ApoE4). The result of the study was simply that a high cholesterol diet had no influence on the thickness of the arterial wall, even in the genetically high risk individuals. Eggs are not bad for you. Cholesterol does not cause heart attacks. Diet fat advice has been wrong. At last research is coming into the public domain and starting to eclipse the misinformation of the diet evangelists. Perhaps we can now eat for pleasure, but acknowledge the sensible dietary advice of “Don’t eat too much”. I thought my post above as UnKnown would be under my name, this one is, I think?